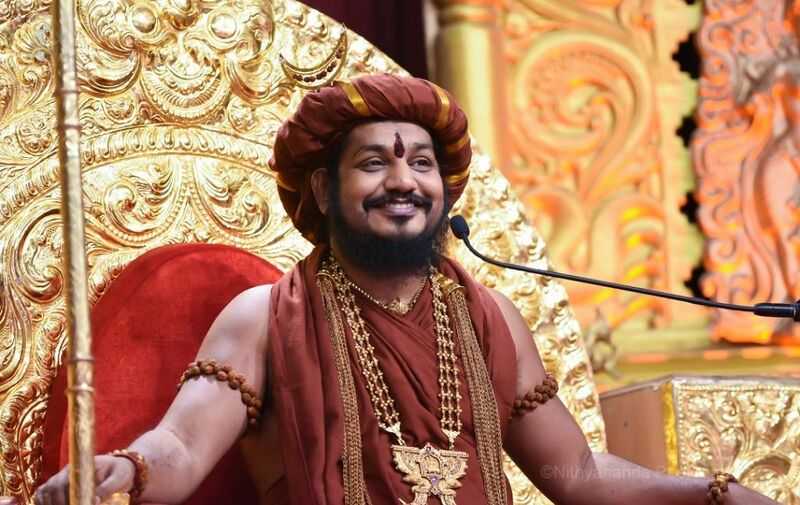 A video of a Hindu saint Nityananda has gone viral. He claims that one day you’ll see bulls and cows talk in Sanskrit and Tamil. He didn’t stop there he added that he casually tested a software which ‘worked perfectly’ that would make animals talk human. With utmost confidence, public cheer he said he would create a perfectly functional vocal cord so that monkeys, lions, cows and bulls talk our mother tongue. Nityananda said that he would fully prove to the world within 1 year, with all scientific reasoning. This is not the first time this man has gone to make such bizarre statements. In another viral video he claims he will create a inter-life- trust -management-system. Which means the trust will take over the wealth of the rich like Bill Gates, Warren Buffet or Mukesh Ambani. Once they die his trust will locate their Jeev Atma and give them wealth they gave the trust in their past life. You may be wondering what the charges would be like, he said they would charge a fee of 25%. With this strategy he aims to become the richest wealth management company in the world. They further added If you can afford more fee you’ll be provided with a family of your choice. This would end the problems faced by the rich on after life and prevent them from being born poor in ‘some African village’. If you think this is beyond science, then wait he also has gone on to prove the theory of relativity E=mc^2 is wrong. In his address to a small group of shallow heads he says E can not be equal to mc^2, he said matter is continuity and energy is intensity. Intensity and continuity is different for a vegetarian and a non vegetarian. A vegetarian will experience continuity without losing intensity so it’s not mc^2 it’s mmmmmmmmmmmmmmmc. Well either this man living in the future or if we are living in the past. Time will TELL.